A guide to the types of central heating boiler systems available, information on how a boiler works as part of that system and the different types of fuel that are available for your boiler. There is a great deal of confusion surrounding boilers and we have tried to cover the basics here. Essentially if you have any doubts you should discuss your installation in detail with your supplier, or your installer who must be CORGI or Gas Safe registered. In the case of oil boilers this should be done by an OFTEC registered engineer. The size of your boiler is dictated by the output you require. This is measured in terms of radiators and hot water cylinders. 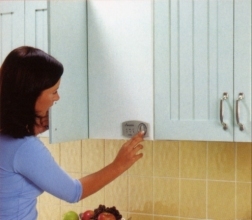 It has been common in the past to oversize boilers to make sure the boiler would heat your house adequately. One result of this is that most boilers installed pre 1989 are as much as 30% oversized. This is an incredible drain on finance as well as energy and these days boiler efficiency calculations are much more advanced. You can get some help by clicking through to our radiators project. It is also advisable that you find out what type of fuel is available in your local area if you do not already have heating installed or you are thinking of changing. Requires two water tanks located high up one a Cold Water Storage Tank the other an Expansion / Feed tank, also requires a Hot Water Cylinder. The storage cylinder holds a large quantity of hot water that is available immediately (or as soon as the feed allows). However when this store has been used up it has to be reheated, this could take anything up to 1 hour. This type of system is considered the least efficient as there are heat losses from the pipe work to and from the boiler to the cylinder and the cylinder itself. System boilers come in two types, a vented low pressure and an un-vented high pressure system. Both require a Hot Water cylinder. Vented system boilers require a storage tank but most of the other components are held in the unit itself which means that installation is quicker and cheaper. Also, the hot primary water is pumped through the system to the radiators and hot water cylinder resulting in a faster response and more economical running costs. Un-vented system boilers incorporate the equipment necessary to form a sealed system including a pressure relief valve and a pressure gauge, removing the need for a feed and expansion tank. Combi’s are now the most used form of central heating boilers. Most Combi’s run on mains pressure water, thus do not require tanks to be placed in the loft. They also eliminate the need for a hot water cylinder as they instantly heat the water when it is needed. Another benefit with the combi is that, due to it running from the mains water supply, you can create an effective power shower without the need for a pump. Combi boilers require the least amount of plumbing thus offer a cost saving when installing. Condensing boilers hence low emission levels and are very energy efficient. Old conventional boilers run between 60 – 70% efficiency, a modern standard combi or conventional boiler operates at around 80 – 84% efficiency, condensing boilers recover and recycle most of this wasted heat energy and some can operate at up to 95 – 97% efficiency. Natural Gas – This is piped to your home via a supply company. If you require natural gas and it has not been connected to your home yet then it can cost a lot of money to get connected. You can install a gas central heating system yourself but will need a Corgi registered installer to make the connection to the gas supply. Natural gas is very convenient and there are a good variety of heating systems that can be powered by gas, such as Combi’s, back boilers, wall heaters etc. Another benefit is that you will not run out of fuel for your heating. LPG – This is an alternative to natural gas where it is too expensive or impractical to get natural gas. LPG is supplied to your home via large orange cylinders that stand about 4 feet tall, you usually require two of these cylinders to be fitted with a valve to switch between the two as there are no gauges on them to tell you how full they are. LPG works in exactly the same way as natural gas but you will need a boiler that can be made compatible via a conversion kit. Oil fuels some of the most efficient boilers available, the choice of heating systems are fewer than with gas being restricted to just boilers. In most cases to run an oil boiler you will need a tank to be installed outside your house, these are usually large and very hard to disguise, you also have to conform to a variety of regulations in sighting it. Another thing with oil is that if you let it run out then you will need a heating engineer to re-prime the system before you can get it working again. Solid fuel heating boilers are mostly limited to back boilers, or kitchen ranges. There are some solid fuel boilers which run the same way as other fuelled boilers and use automatically fed pellets from a hopper situated outside the house (we do not supply these). Most solid fuel heating systems are inefficient as they consist of open fires; they also can be messy and require cleaning out once a day at least. Solid fuel comes in a variety of forms, coal, wood, etc. Until recently effective Electric central heating was limited to storage heaters or blown air systems. These were both run off cheap rate electricity supplied in the small hours, and in some cases for a short top up period in the afternoon. Though storage heaters (the most popular) are reasonably efficient they have a problem of being on all the time, so if you have a hot day after a cold day in the winter, you will have heating even though you don’t need it. They are also susceptible to drafts which can discharge them very quickly indeed. A new form of electric powered heating has appeared recently in the form of electric heating boilers. These can directly replace other boilers in conventional heating systems; they are very compact, light and can be run off cheap rate electricity. Another benefit is that they are completely silent. Which Central Heating System Do I Have?